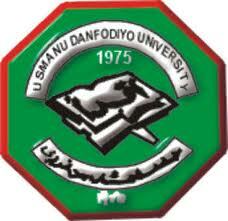 Usmanu Danfodiyo University, Sokoto, UDUSOK admission list for 2018/2019 academic session has been released. The UDUSOK first batch admission list has been updated on the status-checking portal of JAMB. Candidates who want to check their admission status can now go online to do so. Furthermore, those whose their names appear on the list have been offered provisional admission into UDUSOK for the 2018/2019 academic session. Then login to your JAMB profile with your username and password. Finally, click on ‘Check Admission Status‘ to access your 2018/2019 UDUSOK admission status. If you get an offer of admission, then decided to either accept of reject the admission offer. Please check here to see how to accept or decline admission offer on JAMB CAPS portal. If you don’t see your name yet, please check back later. The admission lists are uploaded in batches. Please get back to us and make a comment here if you are able to check your UDUSOK admission status. We congratulate all candidates whose names appear on the UDUSOK admission list for 2018/2019 academic session.